The shelter houses homeless people and families in the metro area. 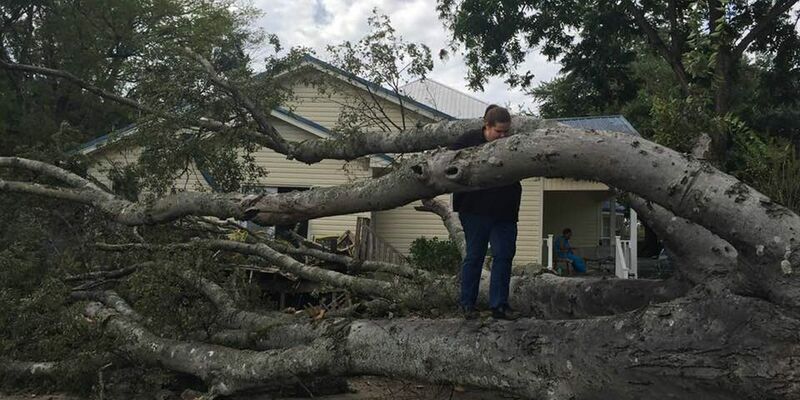 JACKSON, MS (WLBT) - The Wingard Home in Jackson is asking for the community’s help after a large tree fell on their property Tuesday night. The director of the Wingard Home said the tree was slowly splitting at the base and the wind toppled it over. The tree damaged the deck, which serves as the entrance into the women and children’s dormitory on the property. A window was smashed and the doors were broken. The Wingard Home houses people who are homeless in the Jackson metro area. Their website says this includes women, children, pregnant teens, men, whole families, men with children, living in dire straits, displaced, or abandoned. A local handyman company out of Florence called “Helping Hands Handyman Services" came out to help clear the massive tree. The damage left behind will be expensive to fix. The shelter still needs to raise money to repair the doors, the porch, the windows smashed by the tree, and other damages the tree caused to their dormitory. They are located at 1279 N. West Street in Jackson. A local handyman company called “Helping Hands Handyman Services” showed up with chain saws to help get rid of the massive tree. The father and son duo worked late into the night Tuesday. Just want to say Praise the Lord for Joe and Ronnie Evans for coming over to the ministry to cut up the tree that fell in the parking lot. They came over after they got the news. They responded by saying they were on their way. And did they ever! The tree did damage to the Amanda house knocking out the window and the French door glass. Could have been worse but God s hand was guiding the tree when it fell just to graze the roof. Also thank God that no one was hurt. PRAISE GOD!!! May God Bless you beyond measure. To help the ministry get back on their feet, you can donate by clicking here and scrolling to the bottom of the page to find the “DONATE BUTTON".